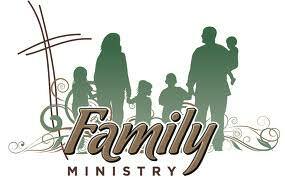 Looking at how to get a degree in family and children’s ministry? The men and women entering these programs every year have an interest in the family unit and they want to help children in various ways. Working in this field requires a minimum of an undergraduate degree, and some positions require a graduate degree. Before you focus on the degree, you need to look at which schools offer this program and which is right for you. There are several things that you should look at when picking a college that offers a family and children’s ministry degree. U.S. News & World Report suggests making a list of things you want in a school and ranking each school and program based on how those schools meet your needs. Many students prefer living close enough to home that they can easily go back for weekend visits, while other students dream of living hours away from home. You’ll also want to look at whether the school has a religious affiliation and if the program has any additional requirements. Some private religious colleges require that students follow a strict schedule, follow a set curfew and attend weekly church services. Before you can get a degree in family and children’s ministry, you need to apply for admission. The admission process varies from school to school, but you generally need to complete an application online or send a completed application form to the school. Most undergraduate schools also ask that you fill out the FAFSA to apply for financial aid, pay an application fee and write a 400 to 600 word essay on a topic of the school’s choosing. Some potential topics might include writing about an important person in your life, discussing why you want to attend college or writing on the most memorable moment you experienced. Ask a teacher or someone you trust to read your essay and make suggestions before submitting it. Many students think that college will give them more freedom when it comes to the classes that they take, but when you decide to get a degree in family and children’s ministry, you still need to take some specific classes. Typically called general education courses, these classes include life or health science, social and behavioral sciences, speech or communications, mathematics and humanities. In addition to those classes, you need to take classes on ministering to children, working with families, teaching and developing a curriculum that children can follow. Don’t assume that the program you choose ends with the courses that you take. Some of the top programs in the country now have a practicum or fieldwork component. In at least one semester of the program, the school will ask you to work in a children’s shelter, a local church or another facility. You typically need to spend several hours working there every week, and at the end of the semester, you write out a detailed report about your experiences. Ministry teachers, pastors, camp directors and others who work with children often study family and children’s ministry in college. Before you can get a degree in family and children’s ministry, you must choose a program, apply for admission, take the courses required by that program and get some additional experience in the field.